Create Your Best Resume. Apply My Top Ten Tips To Get The Advantage. The best resume stands out from all others and leaves the reader wanting to know more. Apply the top ten resume tips on this page to perfect your resume and get the interview you deserve. Create a resume that will be scanned in 6 seconds. Chronological or Functional? These are the two main resume styles. Take a moment to think about the structure of your resume. The chronological format is the most common and accepted format for creating a resume. The functional format is good for creating a career change resume. The Chronological format draws attention to your most recent job and where you've worked in the past. Your skills or achievements appear later in the resume or are included in the notes you write for each job. This is useful if you are applying for a job in the same field as you've had for a while and highlights what you did in each job. The names of your current and past employers are easy to see. If you've had some good jobs you can use this to impress the reader. The Functional format can be used for a career change resume. The functional format places your abilities, qualities and achievements up front so your resume highlights the skills and education that prove you will add value to your new employer. This is the best resume format for a career change but it's useful if you've changed jobs often, done lots of different things in your career, or are entering the workplace after an absence. 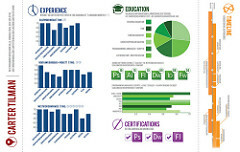 If you're unsure about the style or format for your resume use samples or templates to guide you. 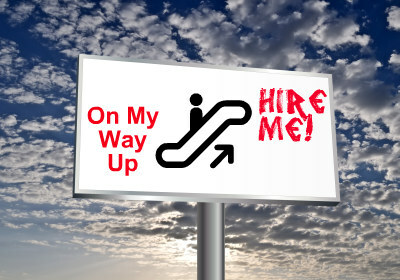 Even if you have a resume it's valuable to let a professional resume writer assist you to create your best resume. 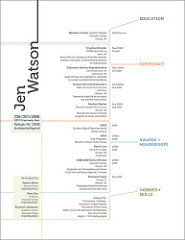 You can't beat a professionally designed resume. A great resume is not just a page of words. It's the way you sell yourself. Information on it's own is boring so put a spin on it. Sell yourself as if you're the only product your employer will ever need. Read more about creating your best resume and marketing yourself. If your resume simply lists all your jobs and education it will be successful - at putting people to sleep! Don't do it! Your resume is not an information sheet, it's a marketing effort. You want people to be excited and wanting to know more about the product (that's you!) as soon as they've read about you. Simply stating that you can do something is not enough. Give evidence that you can actually do what you said you did. Explain how it will benefit the company. You can do this by quantifying your achievements (using numbers to make it real for the employer) and by using action words and keywords when you write about your qualities, abilities and achievements. Keywords are an essential element of the best resume. Without them your resume may never be read. 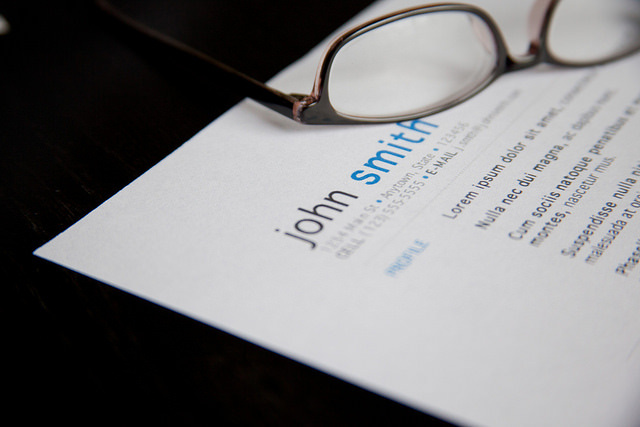 Find out more about the importance of keywords when creating a resume. Keywords are common search terms that would be used to describe the skills and experience needed for a job. For example, if an employer needs expertise using 'Adobe Photoshop' or 'excellent interpersonal skills' your resume will not make the shortlist unless it contains those keywords. Use keywords throughout your resume but make sure they make sense in the context of the sentence. Don't just throw them in for good measure! The best resume contains Action words. Action words, or Power words, are not the same as keywords. To create a resume that stands out get into the habit of using powerful verbs to describe each skill, ability, achievement and job you've listed in your resume. What's that? A verb? You weren't in class that day? Okay, I'm no english teacher but a verb is a 'doing word'. It describes some sort of action or the way you do something. Your resume will make an impact if you use verbs that are active and positive. So you didn't just deliver the paper - you secured the paper round! You didn't make tea for the boss, you inspired a tea drinking culture. You get the idea? Before: Attended leadership programme and headed a team of forensic investigators. After: Selected for national leadership training. Promoted to lead a team of 15 forensic investigators. Begin your sentences with verbs that are powerful and add impact to what you did. One rule - keep it real! Don't overdo it or it will feel false, and don't use the same verb all the time. Vary them. This is the simplest, and also the hardest of all the best resume writing tips. Your resume should not be more than two pages long. It's a two page advertisement. If you can't convince them you're the best in two pages, it won't happen in ten. Get help if you need it. Edit it. Be ruthless. Each word must count and work to sell you. 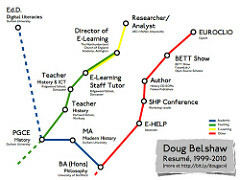 The best resume looks professional and is easy to read. Crammingallyourinformationintotwopagesmakesitdifficulttoread...phew! and people will give up. Keep your sentences short. Make sure there's lots of white space between your words, lines and paragraphs. This invites people to read your resume as it's easy on the eye. People get bored quickly when they have to read long paragraphs. Use standard fonts (size 11 or 12) to make your resume easy to read. If you don't know too much about laying out text on a page get a professional resume writer to help you or copy the layout of a resume that looks professional. You'll be amazed at how good use of space and typefaces (fonts) can improve the way your resume looks. The style of your resume should suit the job you are applying for. You can use a creative layout when applying for an artistic or creative job, but not for an accounting or legal job. only if you're applying for job that needs creative talent. Print your resume on a good quality printer and use clean off-white, ivory or bright white paper. Use the best quality A4 size (8 1/2 x 11-inch) paper you can afford. Make sure your resume is clean - no smudges or coffee stains! Don't include pictures, color backgrounds or fancy borders (unless you're a graphic designer!). Your resume is an advert for you. Spelling and grammar mistakes in your resume reflect badly on you and will reduce your chance of being invited to an interview. Read through your resume once, twice, and as many times as you can after that to make sure there are no spelling mistakes or other errors. Ask a friend to read it and ask for critical feedback. Make sure all the facts are correct and there are no grammar or punctuation errors. Change your resume and tailor it for each job and employer. It's very easy to fall into the trap of using the same resume to apply for many different jobs. This is especially true when we upload our best resume to an online recruitment site and begin applying for jobs. Your best resume should convince the reader that you have thought about how your skills and experience will benefit them and the job they plan to fill. If your resume is not tailored for the job and employer you may not be invited to an interview. Your resume will look and feel like a mass flyer. Even if all you change are the keywords, tailor your resume for each employer. Emphasize different skills and experience according to the employer's needs. Send a new resume for each application. Do the same for all your cover letters. This shows the employer that you have thought about their needs and how you are the best person for the job. Imagine responding to an advert offering a great discount only to find out the discount never existed. You'd feel cheated wouldn't you? Even angry. Now I know that your resume is really a brilliant marketing effort but make sure you do not offer something that the employer is never going to get. Yes, use power words to market your 'excellent marketing skills' but don't tell lies in your resume. Don't expand on the truth or be tempted to make up a qualification. Tell the truth. Most employers do background checks these days, or subcontract someone to do this for them. There's a strong chance you will be caught out, and then your reputation is at stake. It's really easy to miss small mistakes so use these best resume writing tips to check that you've included all the fundamentals in your resume. You can ask a professional resume writer to look at your resume and suggest improvements. Your name and contact details need to be clear at the top of the first page. Make them bold and in a larger font than anything else. Your name should also be at the top of the second page of a two page resume. Check that your address, contact phone numbers (with all area codes) and email address are all at the top of the first page. Make it easy for employers to contact you. Oh, and please make sure the telephone number you give is one that will be answered - preferably not by a five-year-old! Have you listed the jobs you've had in reverse chronological order? Your educational qualifications should also be in reverse chronological order. This is fundamental information that must be included in your resume. Make sure there are no errors, no spelling or grammar mistakes. If you don't correct errors in your resume the employer may feel that you'd do the same at work. Imagine an advert for a bank that has a spelling mistake in it. I'd be thinking 'can I trust this bank with my money if they didn't bother to check for spelling mistakes'? Check for errors in your resume. Each resume you send must be sent with a cover letter. This is a letter that introduces you to the employer and explains your interest in the job they need to fill. The cover letter gives you a first chance to tweak the readers interest and motivate them to look at your resume. Use these great resume writing tips to create a resume that will attract attention and get you invited to an interview. If you're planning a career change your resume is an important tool to convince others that you have the skills and abilities for the job. Following these resume writing tips will give your career change resume the edge it needs to be noticed. If you feel you have not created your best resume, or you're not being invited to interviews, a professional resume writing service is an excellent investment in yourself.